Take Capital Blvd north to left on New Falls of Neuse, go all the way to the end and make a u turn and then make a right on Spruce Shadows Lane, the house will be on the right. Do you dream of an in town home, on a lovely street, in a strong and engaged neighborhood and a house that affords flexibility? 308 W. Markham Ave. Durham NC 27701 fits the bill. This post war cottage is chock full of charm. There are hadwood floors through out the main level, the living room is huge and has a traditional fireplace as focal point in the room. An arch leads from the living room to the spacious dining room where there are two built in china cabinets. Tucked off the dining room and at the back of the house is an updated kitchen. A niche has been created for the refrigerator and new cabinets and solid surface counter tops have been added. The kitchen space is now well thought out and functional. Currently this home has two or three bedrooms and one bath. The second floor has been upfitted for a second bath and the laundry was moved out of the cellar by the current owner and to the second floor. The two main level bedrooms are spacious and a glass door leads from one bedroom to a ten by fourteen foot screened porch. 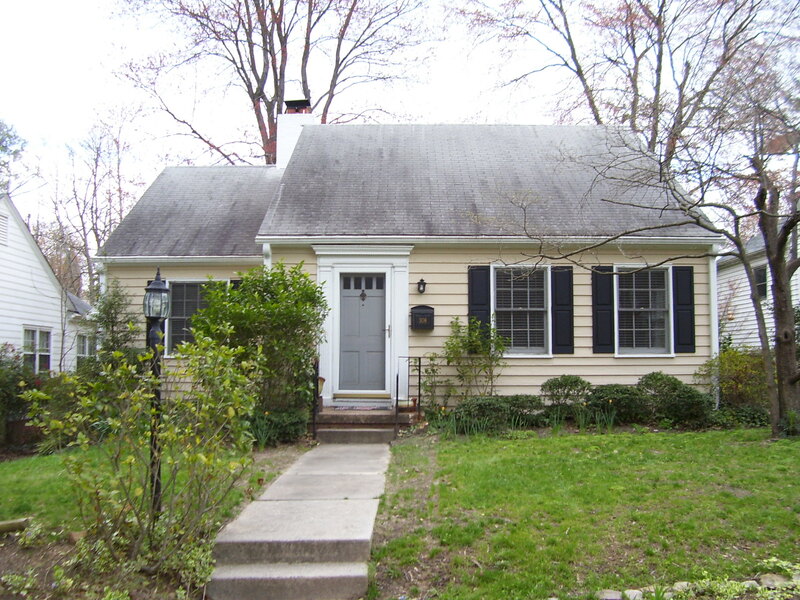 308 W. Markham Ave. is within walking distance to downtown Durham and is just a short distance to Duke University. 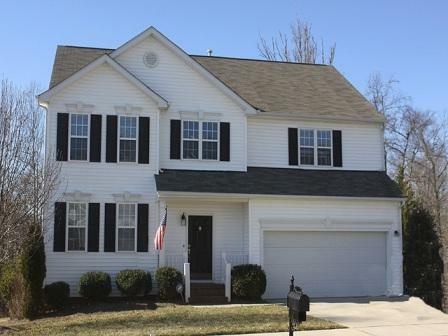 A garage, did someone say a townhouse with a garage between Durham and Chapel Hill? It’s true, it’s true! 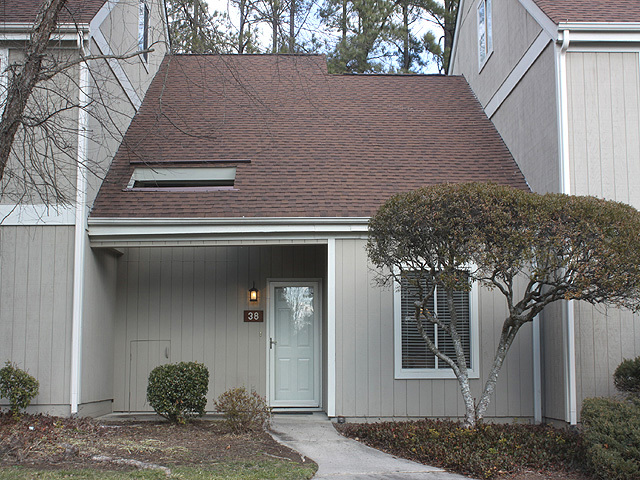 4124 Pin Oak Dr. Durham NC 27707 is an end unit townhouse, a former model home and this property has a one car garage. Wow, the living room with cathedral ceiling is lovely and is decorated in tasteful and refined “nature” motif. This look is achieved with decor colors and tasteful prints but anyone’s decor could integrate nicely into this space. The kitchen with abundant cabinets and ceramic tiled floors is a treat too, the space is sunny, bright and warm and very easy to work in. The two bedrooms are spacious and the master with its large walk in closet and private bath is a true treat. Are you pursuing advanced study at either UNC or Duke? Do you think that you'll need a comfortable, pretty, quiet place that is just seven miles to campus to study, read, write, relax and entertain? 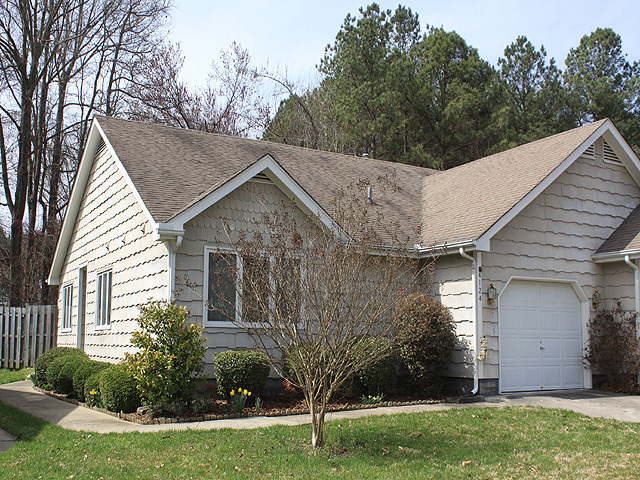 Well we have it here in 5005 Pine Cone Dr. Durham NC 27707 in the established Five Oaks neighborhood. This end unit townhouse is well done through and through. This property can be described as chic, elegant and fun. 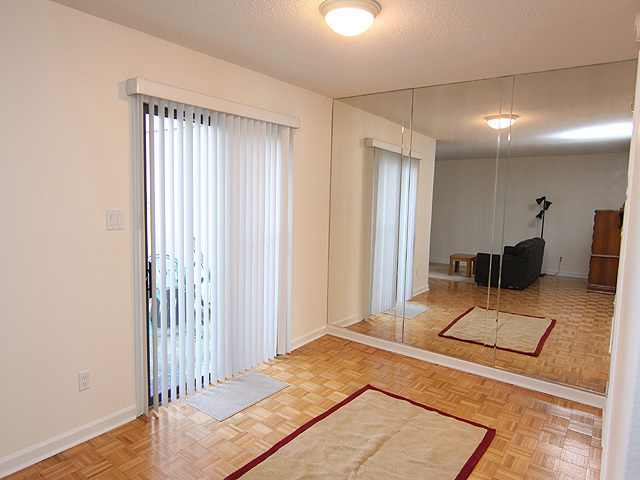 The current owners have updated and enhanced and created just a wonderful living space. There are new hardwood floors in the foyer, dining room and kitchen. A new banister to the loft has been constructed and has lovely arts and crafts elements. The loft would make a great home office or second bedroom. 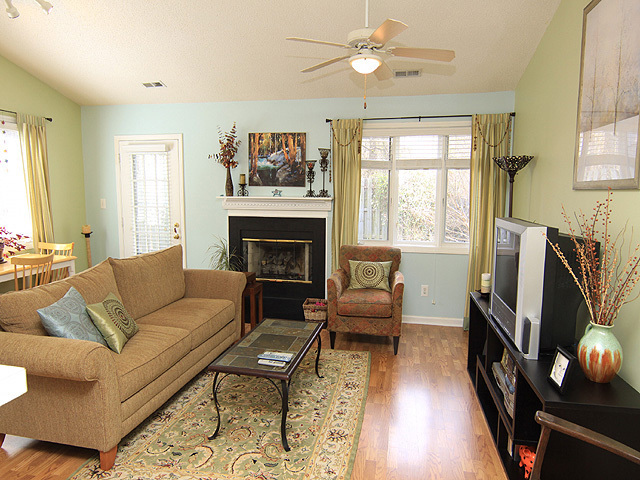 The living room is tasteful with decor colors and a vaulted ceiling. Additionally there is a main level bedroom with sliding doors to a private rear deck. There is also custom-built in shelving in the master closet. Use of space in this home is clever. Interested in learning more or taking a tour of this home? Call Mike Sullivan with Fonville Morisey Realty. Michael Sullivan has nearly 17 years market experience in the greater Research Triangle Region's real estate market. 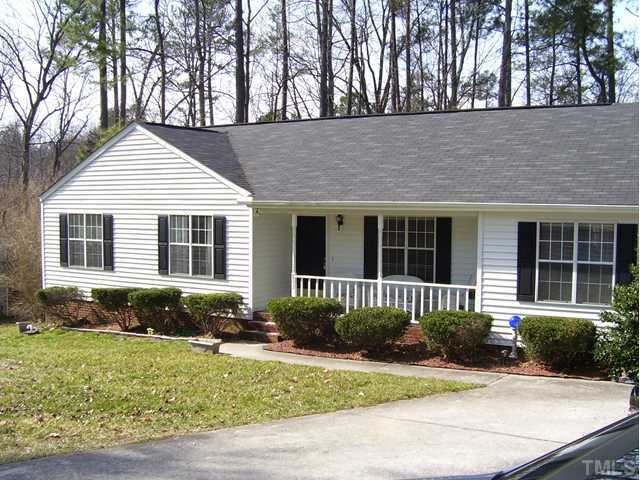 No doubt about it in the 27703 zip code in Durham County home buyers can find some great home buying deals. 833 Riverbark Lane offers outstanding value for outstanding space. This home is offered at $142,000. This ranch style home is 1530 square feet with and additional 120 square feet in a three season sun room. This home has a vaulted living room, a huge family room that measures thirty-two feet long and is nearly twelve feet wide. 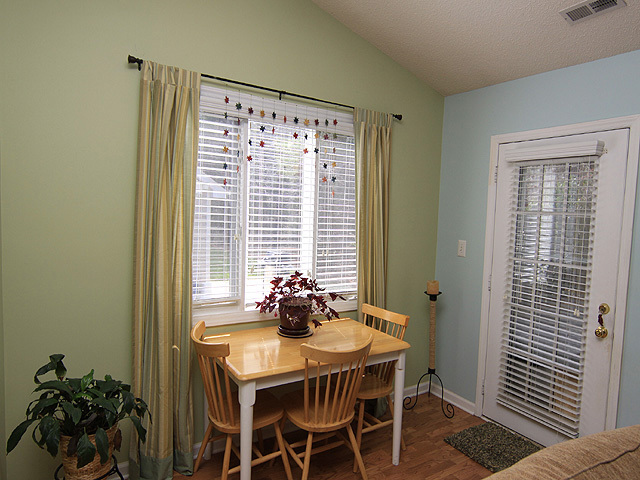 The current owners use this room as a combination family room and formal dining room. 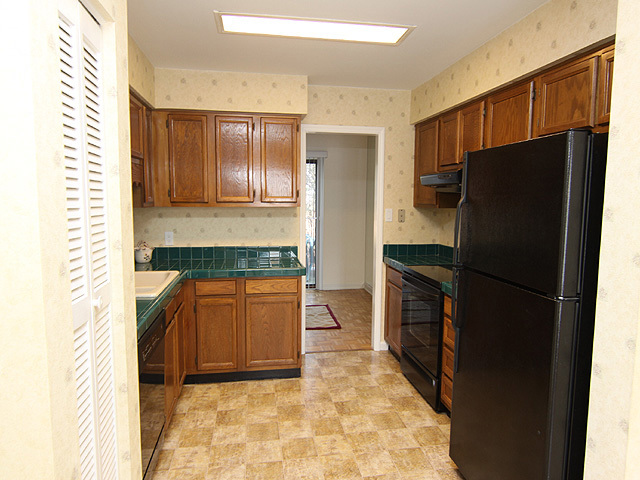 Additionally there is a large country kitchen with spacious eating area and wonderful work space. The kitchen appliances stay with this home. The living room, breakfast room and kitchen are vaulted and are light bright open and airy. There are three nicely sized bedrooms with lots of closet space. The exterior is worry free vinyl and a one year HSA Warranty is being offered on this property. 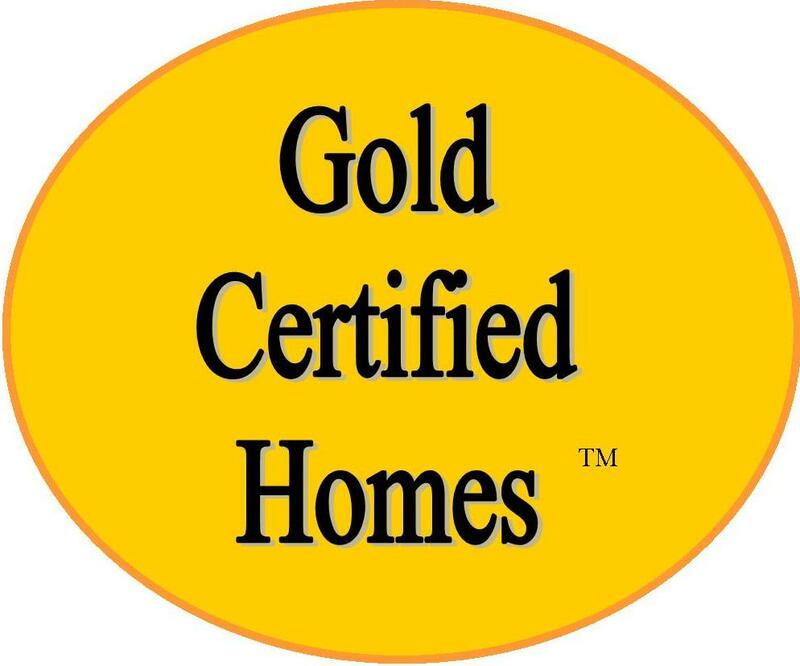 Gold Certified Homes operates on a very simple premise. Home sellers contract to have their homes inspected either before or while their homes are offered for sale. With an inspection report in hand, sellers then use Michael Sullivan’s extensive network of tradespeople and general contractors to correct any deficiencies that might have been found during the inspection process. Michael Sullivan’s home seller clients then offer a one year HSA Home Warranty on their listed property to further put buyer anxiety at rest. Once a serious buyer prospect comes the seller offers to share their home inspection with the buyer; sellers and buyers are fully informed that the home inspection report belongs to the seller and the information shared with the buyer is for informational purposes only. Should the prospective buyer then wish to re-inspect the property our home inspectors will offer a re-inspection at a reduced fee. Of course buyers are always welcome to engage their own inspectors. Our first on board inspector is First Call Home Inspections, John Cauthen. http://www.firstcallhomeinspections.com First Call will offer buyers a 40% discount on re-inspections of homes that they have inspected. The philosophy behind marketing properties this way is that for far too long buyers and sellers of residential real estate get way into the process only to discover that homes have serious deficiencies and defects which then must be remedied well into the process where time is often a major constraint.